“Is this it?” We looked at each other and peeped into the hallway and up the narrow staircase. Presumably our last pit stop in the area before we were to head home and pack for the retreat to follow. I was all about the Five Beers, Popcorn and an Appetizer for $20, what a steal! Finally building up enough courage, we slithered our way up the stairs and to a dim-lited room. On first sight and scent of the place, I couldn’t help but be reminiscent of the vivid descriptions of an opium den. We were led to pick which ever table we pleased, we were the only customers in the place at this time, and for the rest of this Tuesday night. 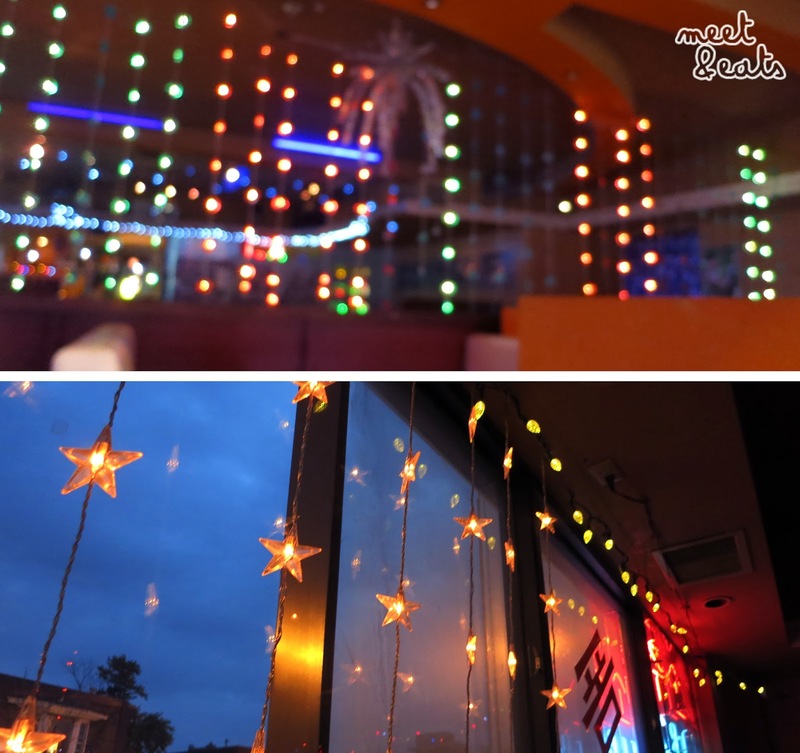 Confronted with LED lights spread across the entire floor and along the walls, along with magazine clippings of Korean Popstars lined across some sections of the walls. This place must go off for locals on the weekends. Korean Pop music was blasting from the speakers, and a few minutes after we were seated, we noticed the change in music, over to English Top 40’s. Nice vibes, I like this place already. The two servers, husband and wife, would alternate between in attending to us. They were both courteous and more than happy to chat.There was a button available for buzzing for immediate service against the wall. It was pretty dang dim, even next to the window, we could hardly even see what we were eating. It’s cringe-worthy thinking of it now. Tasting smoked, and next to burnt, nibbling pure pieces of fat. 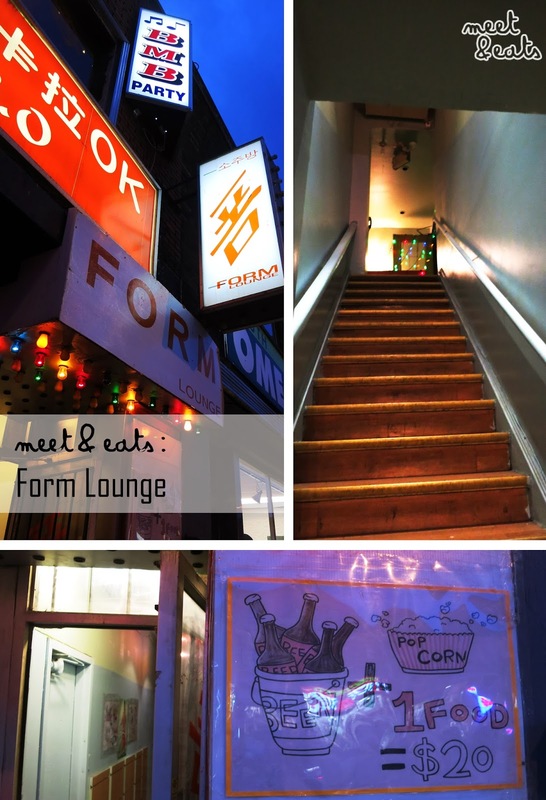 We came here completely unaware that this place was meant for groups, but we had a good time nonetheless! 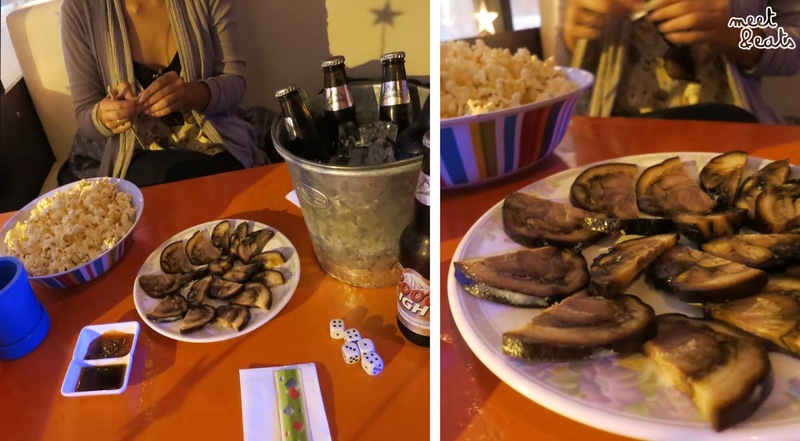 Attempting to learn a dice game, drenching the slices in the sauces provided and chatting the night away. It’s such a great place to kick back, I will definitely come back! I love the photography! and the food looks amazing. Thanks darlin! 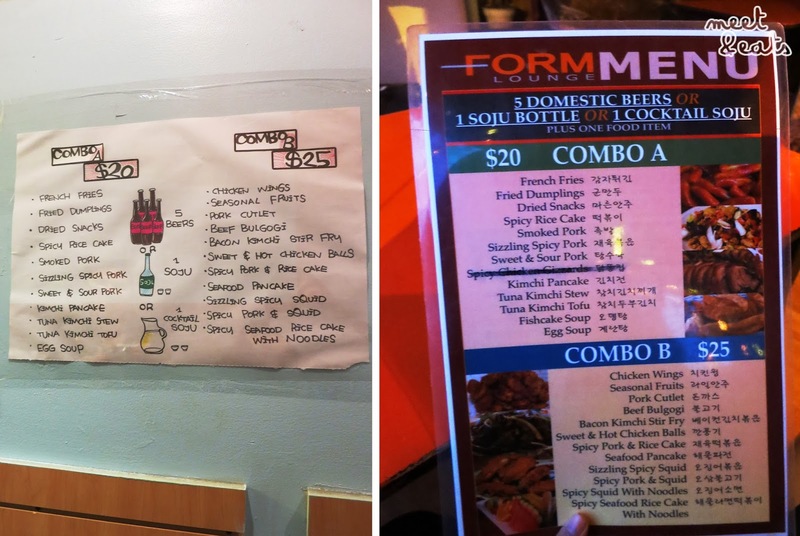 The food really wasn't anything notable, just a super chill spot, really.